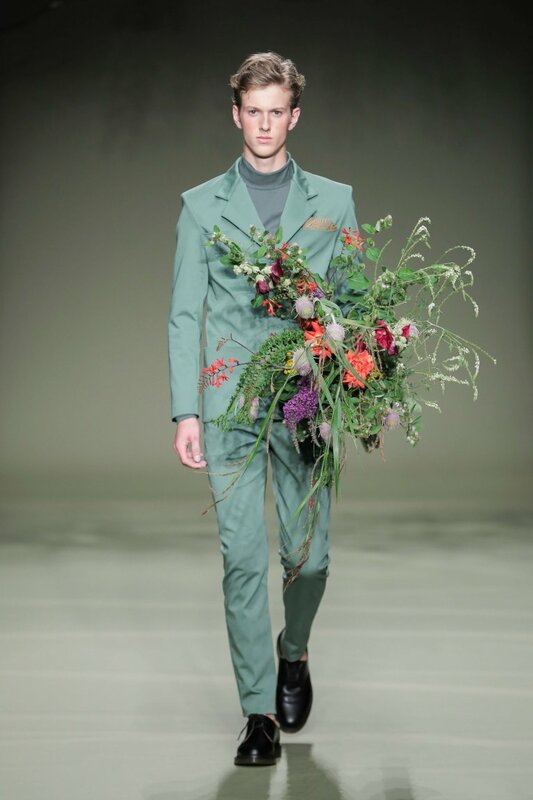 On 15th of July 2017, Boaz van Doornik presented his latest men’s collection called LEAF, during the 27th edition of the Mercedes-Benz FashionWeek Amsterdam. 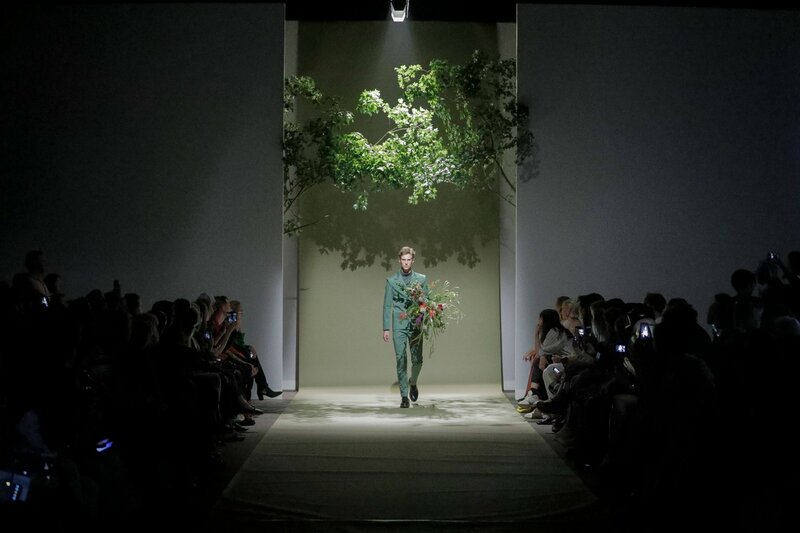 The inspiration for LEAF is in line with his award-winning graduate collection ‘Monumental Memories’, which was all about his father, the nature and beautiful childhood memories. This time he truly focussed on the beauty of nature. 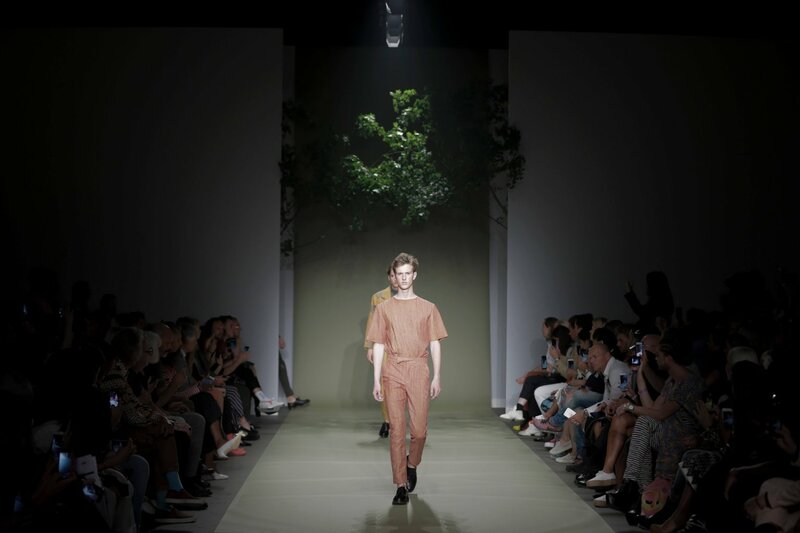 For his new collection presentation, the minimalistic fashion designer Boaz van Doornik took the audience on a casual stroll through Dutch nature. To arrive on the catwalk, the models were expected to walk under a ‘roof’ of thick leaved tree branches created by The Wunderkammer. Once the models were on stage, they showed eleven different looks. 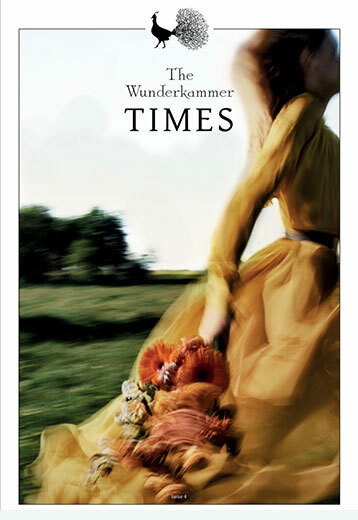 The colours ranged from terracotta tones to mustard yellow and natural greens. In this show, Van Doornik created a new Dutch landscape in which structure and spontaneity are lined up against each other. Van Doornik reacts against ‘fast fashion’ by showing the beauty of impermanence and functionBoaz van Doornik (1993) is a fashion designer with a keen eye for detail. The perfect fit and a love of tailoring are central to his work. Van Doornik graduated from ArtEZ in 2016 with his collection, Monumental Memories. 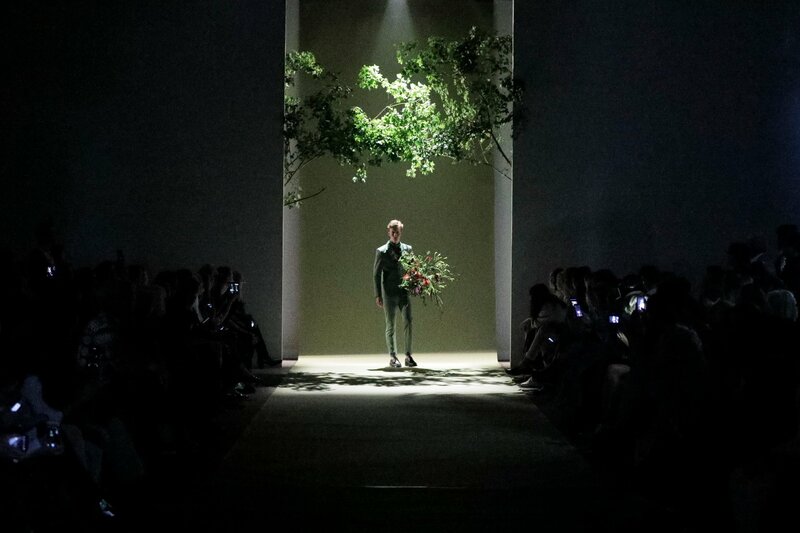 It was a breathtaking ode to nature that won him the Mittelmoda Fashion Award and the 2016 International Youth Designer Competition in Beijing. 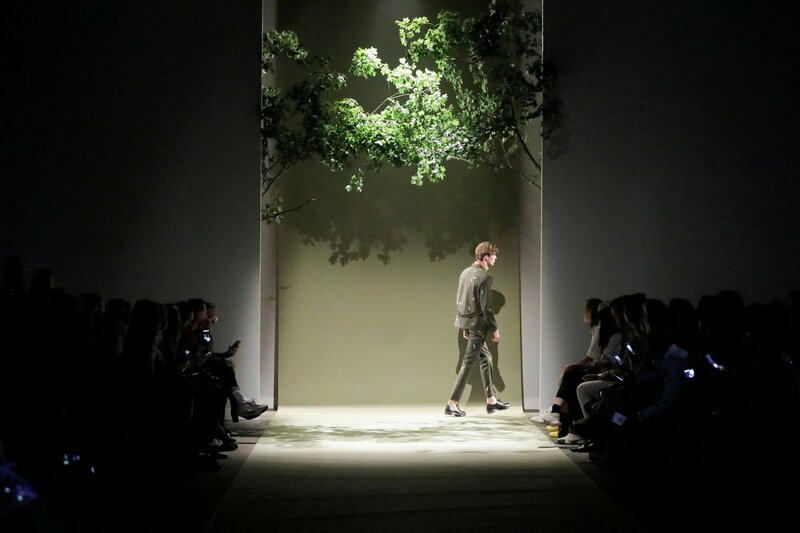 The collection was inspired by nature, a place where he could often be found with his father. As he studied plants and wildflowers in detail, his father taught him to develop his eye for detail.Van Doornik designed a menswear collection full of striking prints of ferns and graphic flowers, as a tribute to his father, nature and the beautiful memories of his youth. His accessories took the shape of well-known plants and he even made a backpack from real flowers in collaboration with The Wunderkammer in 2015. Though winning awards hints at a promising future, and the designer was recently scouted by LVMH, Van Doornik himself prefers to look to the past. It’s there that he finds inspiration for his designs, in personal highlights and memories.Van Doornik’s eye for detail is now a characteristic signature in his work, as is his talent for developing the perfect fit. With his unique, tailor-made menswear collection, Boaz van Doornik is unquestionably making impression on the media; he was recently mentioned in VOGUE, I-D Magazine and LINDA.MODE and the Volkskrant.